I haven't been as excited about blogging recipes lately. Sorry. I have to admit it. It could be: 1) I have been really stressed about something else that is zapping my energy and time; 2) I'm back at work or 3) six keys are now missing off my laptop - the latest to be pucked off by my baby was the C key. Makes it tricky to keep blogging..............I have to repeatedly stab the ccccc key to get it going. Annoying. Time to shop for a new laptop. But who has time. But I still have lots of recipes to share. To record. And to make again. So instead of taking the night off I'm sharing another one. Waffles. Grain-free. Dairy-free. Sugar-free. Portable. Convenient. Nutritious. A staple in our house and in my lunch kit. Mix together wet ingredients and dry ingredients in separate mixing bowls. When waffle maker is ready. 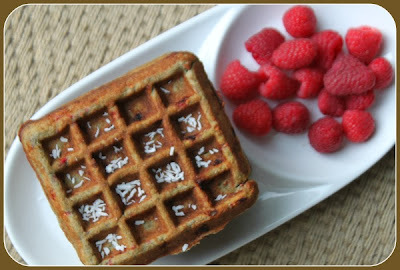 Coat waffle maker with small amount of coconut oil. I used a paper towel to do this. Put half the batter on each side of the waffle iron. Close and let cook until indicator light shows that it is ready. My waffles took about 2 minutes and 10 to 20 seconds to be ready. And why not make a double or triple batch. Cool completely. Freeze individually. 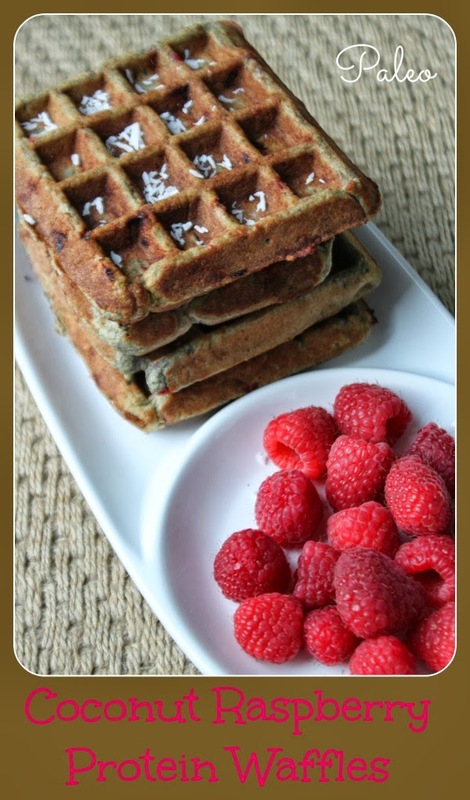 Take them out and warm them directly in the toaster for a quick breakfast, lunch or snack on another day.